Governor Pritzker and the new General Assembly have taken office; and with a new leadership comes new opportunities. We are encouraged by the collaboration between the Governor and the General Assembly; and we look forward to working with both branches to strengthen public investment and improve policy to ensure that mental health and substance use treatment is accessible to all. Last week, during the Governor’s first budget address, he emphasized implementing a “fair tax” – a graduated income tax structure – as the centerpiece of his proposal to grow the additional revenue needed to cope with Illinois’ structural deficit and put the state on the path to fiscal stability. This was welcome news following the budget stalemate and years of spending cuts that have devastated access to mental health and substance use treatment and Illinois’ social service sector more broadly. New and sustainable revenue is critical to paying down the backlog of bills, stabilizing public pensions, and investing in the vital public services Illinoisans need to live healthy and thrive. In spite of previous efforts to increase state investment in mental health and substance use treatment, significant gaps in services persist – making needed care difficult, and sometimes impossible, to access. This year, the Healthy Minds Healthy Lives Coalition has introduced the Children and Young Adult Mental Health Crisis Act (HB2572/SB1633), comprehensive children’s mental health legislation addressing major barriers to accessing preventative care and early treatment regardless of the type of health coverage a family has. For decades, the availability of mental health services has fallen far short of the need. This lack of treatment capacity is due in large part to insufficient Medicaid reimbursement rates, which fail to cover the cost of providing care and hamper providers’ ability to grow access to services. We are excited to work in coalition with providers and advocates across our state to pass the Mental Health Modernization and Access Improvement Act (HB2486/SB1673), a legislative initiative aimed at addressing the systemic barriers to expanding access to care. Following the midterm election, Democrats won control of the House of Representatives while Republicans retain the majority in the Senate. This divide in power is likely to put to rest Congressional attempts to repeal the Affordable Care Act and cut Medicaid. Nonetheless, administrative actions from the federal government continue to undermine health coverage. Advocates must remain vigilant and continue to oppose any policies that reduce access to the comprehensive care necessary for leading a healthy, prosperous life. SPRINGFIELD, IL – Yesterday, Governor Pritzker delivered his first budget address since taking office, offering his vision for returning Illinois to fiscal stability and paving the way for a more prosperous future for all Illinoisans. The centerpiece of the Governor’s budget plan includes addressing Illinois’ long-standing fiscal challenges by implementing a “Fair Tax,” which is a progressive income tax structure that taxes those with higher incomes at a higher rate, and those with lower incomes at a lower rate, similar to the federal income tax structure. This will generate needed additional revenue and put the state on sound fiscal footing. A progressive income tax would be part of a broader package of revenue measures aimed at paying down the state’s backlog of bills, stabilizing the pension system, and investing in critical public services. Addressing the state’s structural deficit alone would be a major step forward for Illinois and we commend the Governor for tackling this financially crippling problem. We are hopeful that as the state gains fiscal stability, this will be the beginning of a significant increased investment in mental health and substance use treatment over the next four years. Following years of spending reductions and a devastating budget stalemate, Illinois is in desperate need of stability and improved investment in healthcare, human services, and housing to enable communities across our state to thrive. “Illinois is facing a mental health crisis and a lethal opioid epidemic. 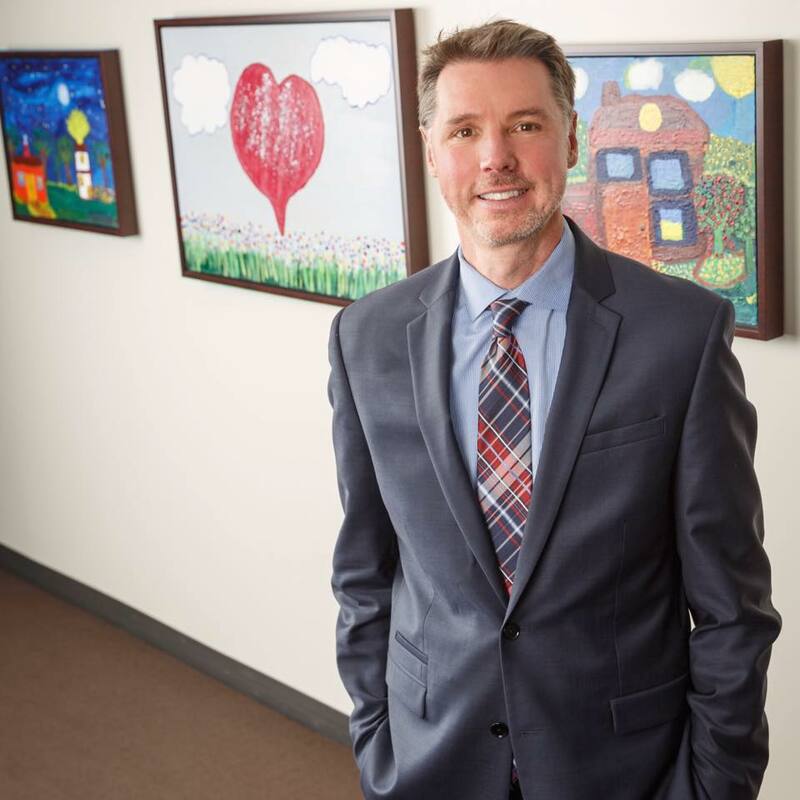 The need for increased access to community-based treatment and affordable housing has reached a fever pitch; and state government has an important role to play in leading the way to address these needs,” says CEO Mark Ishaug. We applaud the collaboration between the Pritzker Administration and the General Assembly and hope that this partnership will lead to meaningful increases in resources to enable providers to grow access to services. 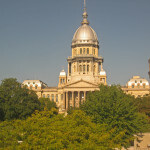 As the budget process moves forward, we are excited about the opportunity to work with both the Governor and lawmakers to support the sustainable revenue necessary for strengthening investment in public services and growing access to the mental health and substance use treatment that keeps Illinoisans strong and healthy. This month, Thresholds is proud to feature the Otho S. A. Sprague Memorial Institute in its Donor Spotlight. 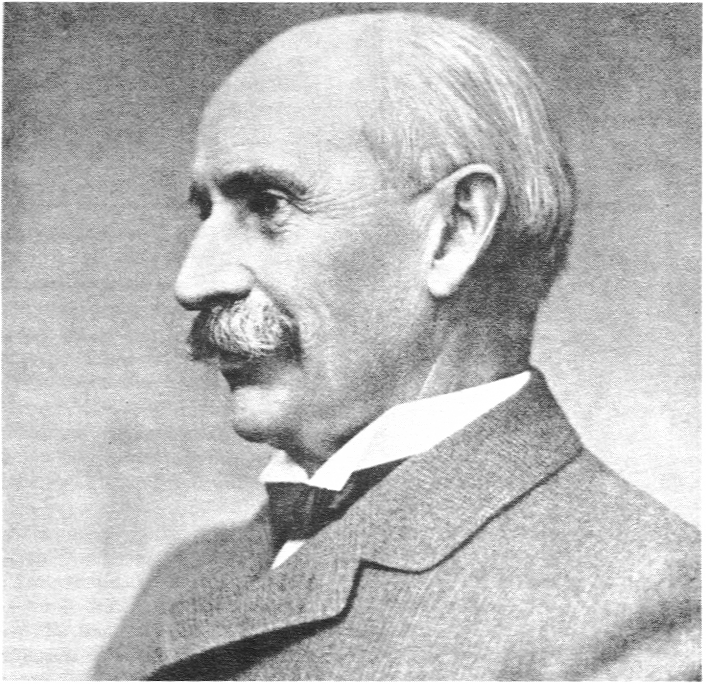 Incorporated in 1910, the foundation initially supported biomedical research, shifting its focus in later years on initiatives to improve healthcare in communities. The foundation’s support has included The Chicago Health Atlas and collaborative programs in asthma, obesity, oral health, and patient safety. Telehealth, substance abuse, and behavioral health are among the Foundation’s newer initiatives. The Institute’s endowment is $39 million with annual distributions of $1.9 million. This year, the foundation supported Thresholds Substance Use Treatment programming on Chicago’s West Side, an area disproportionately impacted by the overdose epidemic in Chicago. Through their support, Thresholds will pilot a truly innovative model of care that integrates substance use and mental health programming by applying a community outreach team approach for substance use disorders, and will employ people in long-term recovery as community support workers. This project is continuing Thresholds’ tradition of leading the way in cutting edge responses to increase home, health, and hope for some of our most marginalized community members. Thresholds is honored to be a grant recipient of the Otho S.A. Sprague Memorial Institute! In the past, the foundation has supported the Thresholds Call Center and we are grateful to once again have its support as we begin this innovative program for substance use treatment! Congratulations to Thresholds CEO Mark Ishaug, named a participant of the inaugural class of the Daniel Burnham Fellowship – a civic engagement experience by Leadership Greater Chicago. This fellowship is for senior executives in Chicago who want to gain deeper understanding and knowledge of the city, its networks, and business community. These leaders will use their combined influence and intellect to positively impact the city of Chicago. A group of 19 senior leaders from diverse backgrounds and a wide range of industries will join Ishaug and come together on Thursday, February 7th to begin this five-session series. Through urban planning, strategic partnership and collaboration, and innovative problem-solving, this group will be a driving force behind changes needed most in Chicago. Pat Barrett – Executive Vice President and Chief Financial Officer, First Midwest Bancorp Inc.
John Latessa, Jr. – President, Midwest Division, CBRE, Inc.
SPRINGFIELD, IL – Thresholds congratulates Governor JB Pritzker on being sworn into Illinois’ highest office yesterday in Springfield. We are excited about the tone of bipartisanship and optimism he is setting as he begins his term. 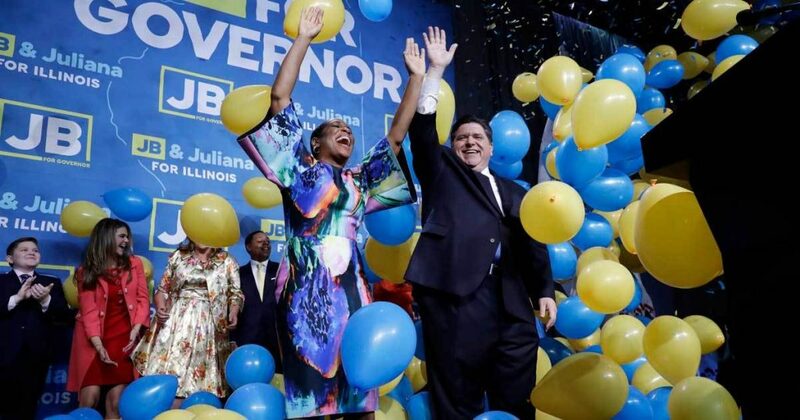 Notably, during his campaign, Pritzker made mental health and substance use special areas of focus – an encouraging sign he is committed to prioritizing these issues. Another central issue of Pritzker’s campaign was establishing a fairer income tax structure for all Illinoisans that also will generate increased state revenue to support critical public services. As new leaders take office, we encourage the Governor and the General Assembly to work together to secure new and sustainable revenue. This revenue is necessary to strengthen Illinois’ challenged health, human services, and housing systems. We are hopeful that this change in leadership marks a new chapter for Illinois. We look forward to the opportunity to serve as a resource and a partner in building a better, brighter, and more prosperous future for all Illinoisans. The Governor’s inauguration follows that of the members of the state legislature who were sworn into office last week. The full text of the Governor’s inaugural speech is available here. The Chicago Community Trust partners with donors to support nonprofit organizations in bringing transformative impact to communities across Cook County. For over 100 years, the Trust has partnered with businesses, local governments, and organizations to promote causes that target structural inequalities, and drive equity and opportunity in the Chicago area. Over the years, The Chicago Community Trust’s giving to Thresholds has ranged from general operations, to funding specific efforts such as arrest deflection, supported employment, and dental care. This year, the Trust donated to the Thresholds Westside Narcotics Diversion and Treatment Initiative through a $20,000 Unity Fund grant. This program works with the Chicago Police Department to divert nonviolent drug offenders from incarceration by providing them immediate care. Along with the McCormick Foundation, The Chicago Community Trust has made it possible for Thresholds to provide life-saving medication assisted treatment, psychiatry, treatment planning, and discharge assessments for clients. We are excited to highlight The Chicago Community Trust in this month’s Donor Spotlight! For over 30 years, the Trust has generously and consistently given to Thresholds, enabling the agency to continue supporting those living with serious mental illnesses. We are grateful for the Trust’s belief in our work and in those we support. CHICAGO – Last Friday a federal district court judge in Texas ruled the Affordable Care Act (ACA) unconstitutional based on changes associated with the new tax law Congress passed last year. While this ruling does not have an immediate impact on the ACA or Medicaid – both remain the law of the land – the judge’s decision, which will continue to make its way up to the U.S. Supreme Court, reinforces the need to continue strong advocacy to protect the ACA and access to healthcare. The U.S. Supreme Court previously upheld the ACA in 2012 and again in 2015. Today, more than 20 million Americans have healthcare coverage because of the Affordable Care Act, including millions with pre-existing conditions like mental health and substance use conditions. Ensuring access to treatment is more important now than ever. Annual overdose deaths and suicides in Illinois each now outpace homicides. Illinois’ suicide rate increased 23% between 1999 and 2016 and is the 3rd leading cause of death for young people between the ages of 15 and 34. And between 2013 and 2016, opioid overdose deaths in Illinois increased 82 percent. The ACA not only paved the way for reducing the nation’s uninsured rate to an all-time low, but also raised the bar for important consumer safeguards. 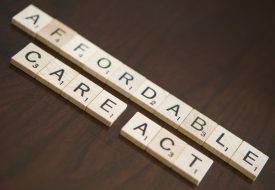 Under the law, health plans must provide protections for those living with pre-existing conditions as well as a basic package of essential health benefits that includes mental health and substance use treatment. “All people deserve access to affordable healthcare so they can live full and meaningful lives. We cannot afford to roll back the clock on health coverage and access to treatment – far too many lives are at stake,” states Mark Ishaug, CEO of Thresholds. As this lower court decision makes its way through the system, we will continue the fight to preserve the ACA and Medicaid as we renew our call for elected officials to come together to strengthen the affordability and accessibility of healthcare – including mental health and substance use treatment – for all. Chicago, IL – Mental health and substance use treatment work. They just need to be accessible at the right time and in the right place. With stable housing, employment opportunities, support in the community and proper treatment, people live full lives, like others living with other medical conditions. As we approach the inauguration of Governor-elect Pritzker and several new legislators, now is the time for an aggressive agenda that puts Illinois at the forefront of mental health and substance use treatment. The stakes couldn’t be higher. Between 2013 and 2016, opioid overdose deaths in Illinois increased 82% and continue to rise. And Illinois’ suicide rate increased 23% between 1999 and 2016 and is the third leading cause of death for young people between the ages of 15 and 34. As a result, annual overdose deaths and suicides in Illinois each now outpace homicides. Many of you – individuals with lived experience, providers, and advocates – have identified these gaps and worked tirelessly towards solutions. We invite you to review the recommendations and join us in continuing to advocate on behalf of these issues to create a nation-leading mental health and substance use treatment system in Illinois. Justice-involved individuals living with serious mental illness now have access to civil legal assistance, thanks to a new partnership between Legal Council for Health Justice and Thresholds. Under the partnership, individuals with serious mental illness who are served by Thresholds’ Justice Program now have access to free, trauma-informed benefits advocacy. Individuals with serious mental illness have an especially difficult experience navigating the process of applying for Social Security disability. On any given day, between 25-30 percent of the individuals at Cook County Jail struggle with a mental illness. For those living with serious mental illnesses and leaving the jail, expediting access to Supplemental Security Income (SSI) and/or Social Security Disability (SSDI) can help stabilize ex-offenders when they are most at risk of relapse and reoffending. A stable source of income is critical in combating recidivism and improving a person’s health, welfare, and quality of life. Studies show it is the most influential social determinant of health. This new partnership targets individuals who are among the highest cost drivers of medical, criminal justice, and social service costs, and prioritizes access to a unique model of civil legal aid to improve the chances of receiving a steady income and end the cycle of incarceration and homelessness. • The average stay for inmates with mental illnesses in jail is longer than for inmates without mental illnesses. • In one study, jail inmates with mental illnesses were twice as likely to be charged with facility rule violations. • Many inmates with mental illnesses are in jail longer because they find it difficult to understand and follow jail rules. • Inmates with mental illnesses are also often held for months awaiting the availability of a bed in a psychiatric hospital. • Inmates with mental illnesses cost more than those without mental illnesses for a variety of reasons, including increased staffing needs. Medical-Legal Partnerships (MLPs) offer a collaborative solution for individuals facing barriers due to medical conditions. Service providers at Thresholds refer individuals to Legal Council to receive legal support with their application and appeals for Social Security disability benefits. The services of a dedicated attorney are provided in the community and on-site at Cook County Jail alongside the Justice team and continue until a resolution is reached. Legal Council for Health Justice uses the power of the law to secure dignity, opportunity, and well-being for people facing barriers due to illness and disability. Legal Council partners with health and hospital systems to train and support the care provider network, provide direct representation to referred patients, and conduct systemic advocacy to promote health equity among populations facing chronic, disabling, and stigmatizing health and social conditions. Find out more at www.legalcouncil.org. Thresholds provides healthcare, housing, and hope for more than 15,000 persons with mental illnesses and substance use disorders in Illinois each year. Through care, employment, advocacy, and housing, Thresholds assists and inspires people with mental illnesses to reclaim their lives. Thresholds offers 30 innovative programs at more than 100 locations throughout Chicago, the adjacent suburbs, and nine surrounding counties. Find out more at www.thresholds.org. 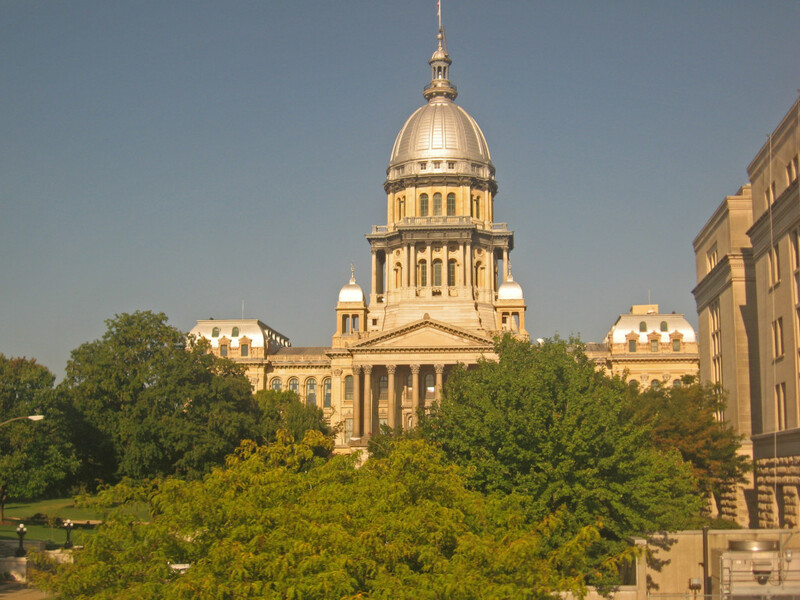 SPRINGFIELD – Yesterday, Illinois healthcare advocates won a major victory in the fight to protect health coverage for those with pre-existing medical conditions. The Illinois General Assembly overrode Governor Rauner’s veto of a bill that will protect consumers by regulating short-term health insurance plans. The bill, SB1737, which will now become law, will limit short-term plans that leave people at risk of expensive medical bills because they need care their plans do not cover. Because of the efforts of healthcare consumers, providers, and advocates, Illinois is among a handful of states which have taken the lead in putting in place important protections to help healthcare consumers avoid the dangers of short-term health plans that often offer fewer health benefits. This is especially important now because these plans have been permitted to grow under a new federal rule. As Illinois faces an ongoing mental health crisis and a deadly opioid epidemic, it is vital that people have access to the healthcare they need to be well, including mental health and substance use treatment. The passage of SB1737 is an important step in the right direction for protecting access to treatment in the state of Illinois.